Terri Clark interviews Trisha Yearwood backstage at the Grand Ole Opry on Trisha's 20th anniversary as an Opry member. They talk Opry memories, recollections from the 90s, stories about their mutual hero Reba, stories about Trisha's hubby Garth Brooks, and the process of making Trisha's latest album "Let's Be Frank," a tribute to Frank Sinatra. Terri Clark interviews John & TJ of Brothers Osborne backstage at the Grand Ole Opry. Terri discovers the guys are huge fans of 90s country, including Alan Jackson, Dwight Yoakam, and the Dixie Chicks. Terri Clark interviews Lee Roy Parnell on his latest album, "Midnight Believer," as well as his friends in country music, including Trisha Yearwood. Terri Clark interviews Dierks Bentley about his Seven Peaks Festival in Colorado. Terri played the festival last year, and Dierks just announced this year's performers. They also talk about their duet on the George Jones/Tammy Wynette classic Golden Ring. Terri Clark interviews Grammy nominee and 90s country fan Ashley McBryde backstage at the Grand Ole Opry. It turns out Ashley is a huge fan of Terri's, and knows all of her songs. Lots of great stories about Ashley's musical influences including Lorrie Morgan, Tanya Tucker, and more. Terri Clark interviews Lorrie Morgan backstage at the Grand Ole Opry. Terri Clark interviews her Chricks With Hits tour-mates: Pam Tillis & Suzy Bogguss. The trio has been doing shows together for the past year, and will continue their tour in 2019. Terri Clark interviews Tracy Lawrence about his new Christmas album Frozen In Time. Terri Clark interviews country legend Charley Pride backstage at the Grand Ole Opry. Terri Clark interviews Travis Tritt about many subjects, including his 25 years as an Opry member, his 21 years attending the Kentcky Derby, his new TV show "Real Country," and many other subjects. Terri Clark interviews Josh Turner about his new gospel album, his 10 years as an Opry member, and his friendship with country legends, including Ricky Skaggs, John Anderson, and Randy Travis. Plus she discovers that Josh once had a poster of her hanging on his bedroom wall! Ricky Skaggs Country Music Hall of Fame induction ceremony from October 21, 2018. Garth Brooks inducted Ricky Skaggs. At the end of his speech, Ricky plays the historic mandolin once owned by bluegrass legend Bill Monroe. Terri Clark interviews David Ball about his new album, "Come See Me," as well as his past hits Thinkin' Problem and Riding With Private Malone. Terri Clark interview Larry Stewart of Restless Heart about his new solo album, about his work with Restless Heart, and his friends in country music. Terri Clark interviews Kathy Mattea about the making of her new album Pretty Bird. Kathy says she was having trouble with her voice, and that experience went into making the new album. Terri Clark interviews Sammy Kershaw on the road during Sammys Roots & Boots Tour. Terri Clark interviews 90s country star Wade Hayes, who had hits with Old Enough To Know Better and I'm Still Dancing With You. He just released a new album called "Old Country Song." Terri Chark interviews 90s star Bryan White about his hits, his family, and his plans for new music. He also talks about his musical heroes, and hits he wrote for Diamond Rio and Sawyer Brown. Terri Clark interviews 90s star Neal McCoy on his new album "Neal McCoy's Favorite Hits," plus his new line of wine, and a lot of his friends from the 90s. Terri Clark interviews Aaron Tippin about his new Kiss This Sweet Cherry Wine. Terri Clark interviews Tracy Lawrence about his new album "Good Old Days," featuring many of Tracy's biggest hits as duets with some of today's top stars. Terri Clark interviews newcomer Lauren Alaina backstage at the Grand Ole Opry. Lauren won the ACM Top New Female award this year, and had her first #1 with "Road Less Traveled." She just co-hosted the ACM Honors in Nashville. Lauren is a 90s country fan, and tells stories about Reba, Shania, Martina, and Dolly. The Judds speak to invited guests at the opening of their exhibit at the Country Music Hall of Fame & Museum. The introduction is by HOF Executive Director Kyle Young. The exhibit will continue until next year. Terri Clark interviews Darius Rucker backstage at the Grand Ole Opry. It's Darius' 5th anniversary as an Opry member. Terri Clark interviews Trace Adkins backstage at the Grand Ole Opry. They talk about Trace's 20 year career, his musical friends, his heroes, and even hos movie career. Terri Clark talks with 80s country star Moe Bandy about his new autobiography "Lucky Me." He covers his entire life, growing up in Texas, the hits he had, the friends he made, including President Bush, the stars he met along the way, such as George Strait, Joe Stampley, and Garth Brooks, his years in Branson, and his life today. Terri Clark interviews Ty Herndon backstage at Nashville's Wildhorse Saloon for Ty's annual Concert For Love & Acceptance. Terri performed on the show along with legends Tanya Tucker & Vince Gill. Terri Clark interviews The Bellamy Brothers (Howard & David) on the release of their new autobiography "Let Your Love Flow: The Life & Times of The Bellamy Brothers." They also have a new reality TV show called Honky Tonk Ranch on the Cowboy Channel. They guys reminisce about their incredible 40 year career, and their many popular hits. Terri Clark interviews Canadian Country Music Hall of Famer Michelle Wright, who updates us on her career. Michelle had a Top 10 US country hit in the 90s with "Take It Like a Man." Terri Clark interviews country legend T. Graham Brown backstage at the Grand Ole Opry. T is best known for his 1987 hits "I Tell It Like It Used To Be" and "Darlene." He was nominated for a Grammy a couple years ago for his gospel album "Forever Changed." Terri Clark interviews country legend Kathy Mattea on the 35th anniversary of her recording career. Terri Clark interviews 90s country star Collin Raye about his new album "25 Years-25 Hits," commemorating his 25th anniversary in country music. Terri Clark interviews country legend K.T. Oslin, who won a Grammy for her hit song "80's Ladies" thirty years ago. They talk about writing that song, and her other hits, "Come Next Monday," "Hold Me," and more. Terri Clark interviews Marty Stuart backstage at the Grand Ole Opry. Marty inducted Terri into the Opry in 2004. Marty's latest album is "Way Out West." He is also building a museum in his home state of Mississippi. Terri Clark interviews one of her musical heroes, Ricky Skaggs, backstage at the Grand Ole Opry. They spoke just a few weeks after it was announced that Ricky would become the newest member of the Country Music Hall of Fame. Terri Clark interviews Steve Wariner backstage at the Grand Ole Opry. Steve actually invited Terri to become a member in 2004. They talk about the recent Anita Cochran benefit, the newest members of the Hall of Fame, and other subjects. Terri Clark interviews Lorrie Morgan backstage at the Grand Ole Opry. They talk about the recent Anita Cochran benefit, the newest members of the Hall of Fame, and Lorrie's new album with Pam Tillis. Terri Clark interviews Mary Chapin Carpenter about her new album "Sometimes Just The Sky," commemorating her 30th anniversary as a recording artist. Terri and Mary Chapin wrote Terri's song "No Fear" 15 years ago. They talk about the circumstances behind that song. Plus Mary Chapin recalls highlights from her career. Terri Clark interviews the legendary Oak Ridge Boys about their new album "17th Avenue Revival," as well as their amazing 40 year career in country music. Terri Clark interviews Sara Evans about her new album Words and the struggles of women making country music today. Terri Clark interviews the newest member of the Grand Ole Opry, Chris Janson, backstage at the Opry. They talk about his amazing rise, from playing shows for tips at Tootsie's Orchid Lounge, next to the Ryman Auditorium, to becoming an actual member of the Opry. Terri Clark interviews The Frontmen, three lead singers of popular country groups: Larry Stewart of Restless Heart, Richie McDonald of Lonestar, and Tim Rushlow formerly of Little Texas. They just released a new song together: If It Wasn't For The Radio. They're on tour now. Terri Clark interviews Martina McBride about her 25 year career in country music. Terri Clark interviews Montgomery Gentry's Eddie Montgomery on the duo's new album Here's To You. It's the first album since the accidental death of Troy Gentry. Terri talks about the album, the tour, and other topics. Terri Clark interviews the legendary band Exile about their 55 year history, the 40th anniversary of their #1 hit Kiss You All Over, and another interesting project they plan on releasing later this year. Terri Clark interviews Diamond Rio's Dan Truman & Gene Johnson on their 25 year recording career, their 20th anniversary as members of the Grand Ole Opry, and other things happening in their career. Terri Clark interviews country star Anita Cochran about her career, her hobbies, and her battle with cancer. Terri Clark interviews country legend Kenny Rogers as he prepares to retire from the music business. They talked in advance of his Nashville tribute concert, "Last Call for the Gambler." Terri Clark interviews Marlon & Steve of the group Exile, who've been together for over 50 years, and had a string of country hits in the 80s. Terri Clark is on the Canadian Pacific Holiday Train this week, performing shows along the route. In this podcast, she speaks with fellow performers Dallas Smith and Kelly Prescott. Terri Clark interviews John Berry about his new album, Christmas Tour, and his TV show. Terri Clark interviews Lee Roy Parnell about his new album Midnight Believer, and looks back at his hits from the 90s, including "On The Road." Terri Clark interviews #TracyLawrence about his new album #GoodOleBoys that features his hit songs redone as duets with some of today's top stars. Terri Clark interviews Keith Urban backstage at the Grand Ole Opry. Terri Clark interviews #ChrisYoung backstage at the #GrandOleOpry. Chris talks about his love for the Opry, the military, and classic country music. Terri Clark interviews Pam Tillis & Suzy Bogguss to preview their Chicks With Hits Tour traveling around the country this fall. Terri Clark interviews the legendary Dolly Parton. They talk about Dolly's new children's album "I Believe In You." They also talk about several of Dolly's friends: Reba McEntire, Vince Gill, and Kenny Rogers. Terri Clark interviews fellow #Opry member #DariusRucker about his new album When Was The Last Time, as well as his favorite country legends. Terri Clark speaks with #MarkWills about his 20 year career and hits like "19 Somethin'" and touring with #GeorgeStrait. Terri Clark interviews writer Holly Gleason, about the new book "Woman Walk The Line." It's a series of essays by women about female country artists. One of the essays is about Terri Clark! 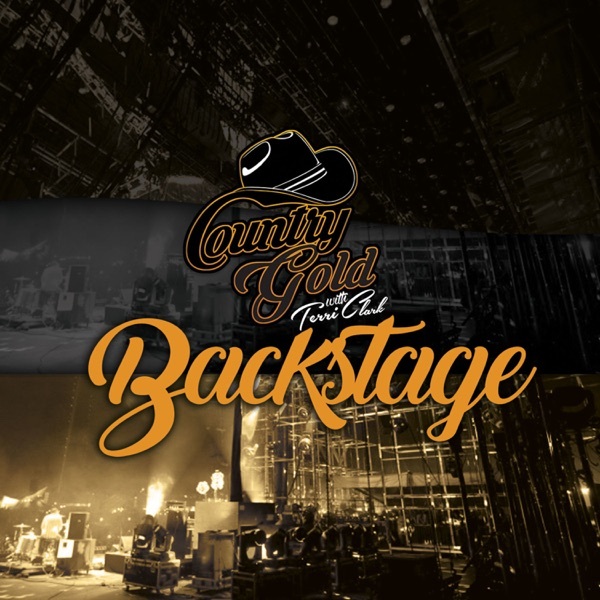 Terri Clark interviews newcomer Kelsea Ballerini backstage at the Grand Ole Opry about her musical influences, including Shania Twain and Reba McEntire. They also talk about how Kelsea honors the traditions of country music. Terri Clark speaks with current country star #TylerFarr about his country heritage, his background as a singer, and his latest single. Terri Clark interviews Easton Corbin backstage at the Grand Ole Opry. They talk about Easton's musical influences, including George Jones, Keith Whitley, and George Strait. Terri Clark interviews #AmericanIdol finalist and country singer Lauren Alaina backstage at the Grand Old Opry. She talks about growing up wanting to appear on the Opry, and idolizing Martina McBride, Shania Twain, and Dolly Parton.